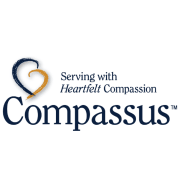 Hospice Compassus is looking for a volunteer or multiple volunteers to help in a receptionist role in our office. With the growth of our site we are in need of some extra help from one or two committed volunteers for some extra help. This would be a great role for a student due to the flexibility and ability to work on homework while you are here. We have a very relaxed office environment that anyone would feel comfortable with. Come join our team and I can assure you that you won’t be disappointed!